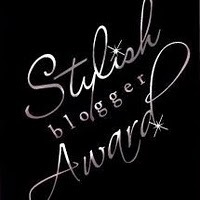 Waitin' On a Sunny Day: Aww, shucks -- I just got my first ever blog award! Aww, shucks -- I just got my first ever blog award! Right, now I have to, according to the rules of the award, leave a link to Clara's blog and then reveal to you all 7 of my deepest, darkest secrets... or, just reveal 7 facts about myself. 1. I love tennis. I sort of stole that one from Clara, but it's a highly relevant fact about me too! I've played the sport since I was 5, which makes it almost 13 years. It's my favourite sport without a doubt. 2. I play the trumpet. I started learning when I was 13, and I love it. There is no feeling that can compare with the thrill that runs through you whilst playing in a jazz/concert band when everyone around you is playing and the music is swelling and... ugh. It's magnificent. 4. I absolutely love the 2005 BBC adaptation of Charles Dickens' Bleak House. I watched this series when it first aired, just a few months before I turned town the dark path of classic film ;D, and it's the first thing I can remember ever being ridiculously obsessed with. I fell in love with the costumes, the music, the breathtaking cinematography and most importantly, the story and Lady Dedlock/Gillian Anderson. I read most of Dickens' books after this, and I've watched Bleak House far too many times every year since 2005. 6. I have absolutely NO artistic abilities, whatsoever. I'm not joking. I can't even draw stick people without difficulty. I can, however, draw robots. On graph paper. 7. Something random. I had a dream last night that I was Phoebe Buffay in Phyllis Dietrichson's body wearing Baroness Schraeder's clothes (specifically, the carpet skirt she wears during The Lonely Goatherd/Edelweiss scene and a hot pink version of the blouse). I must say, I looked pretty good. In dream land, Phyllis' wig (I didn't have the Baroness' hair, sadly) didn't look really bizarre like it did in Double Indemnity. The unrivaled Queen of Crazy: Millie of ClassicForever fame. I urge you to check out their blogs if you haven't already, because they are all seven really amazing! Hilarious! So, yeah, Kim is my favorite player too (Fernando González is my favorite male tennis player). Fun facts! Now you'll have to upload one of your robots drawings AND a song played with your trumpet. I tried to watch the first episode of Bleak House, and I really didn't understand what was happening...at all! LOL. That dream sounds BIZARRE...and really funny. :) Dreams are so crazy! Thanks so much for awarding me! I would award you back but it would be a bit pointless. I have dreams like that! The other day I had one where I was Greer Garson dressed in Bette Davis sailing gear and I sailed to this tiny green island with a little sign saying Japan on it with Gene Kelly. Weird. "The unrivaled Queen of Crazy"
thank you darling sophie! you are the bees knees. and that dream is the greatest thing I've ever heard in my life.